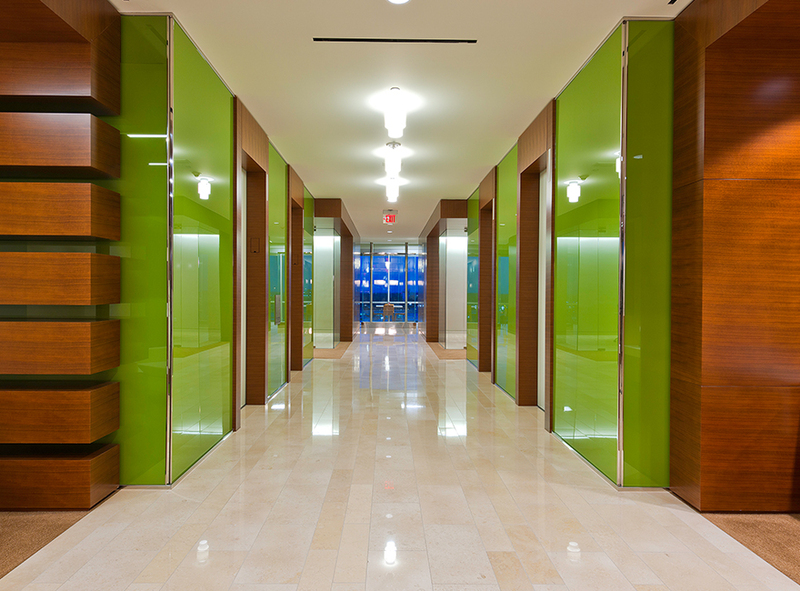 Located along the waterway in The Woodlands, this LEED ID+C Gold office is conservative yet progressive. 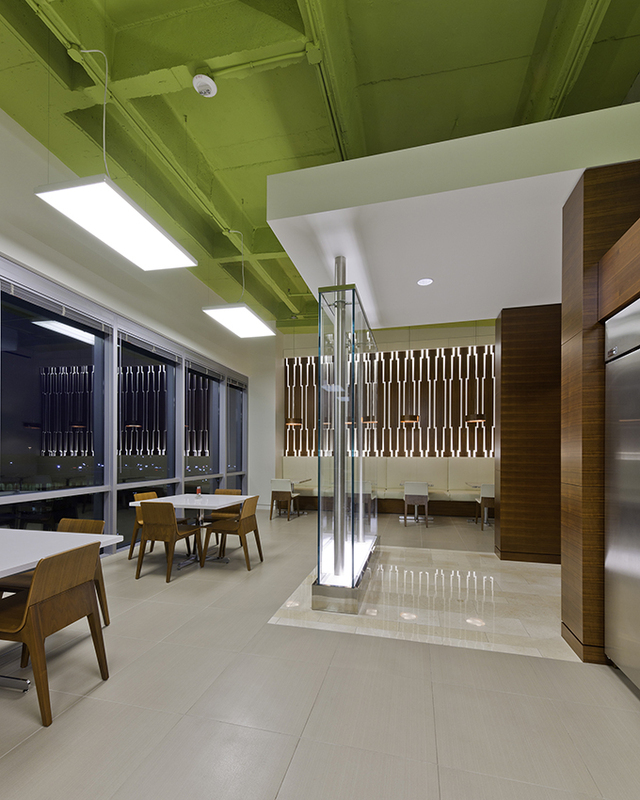 Beusa Energy was determined to create an office space that demonstrated the company’s commitment to sustainability, energy efficiency, and the environment. 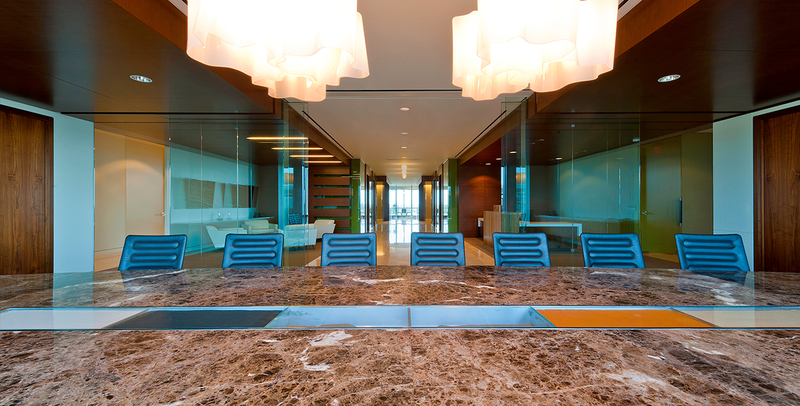 They wanted to find a grand space with room for an executive wing and a large boardroom. 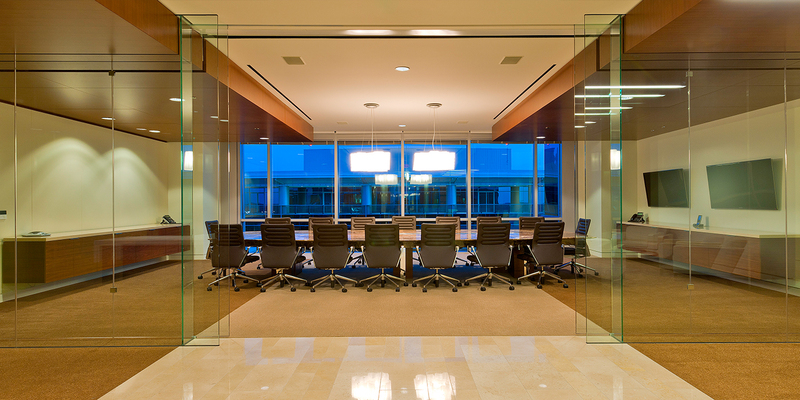 Through the use of a movable glass wall, the boardroom serves as a connecting device between executives and their employees. 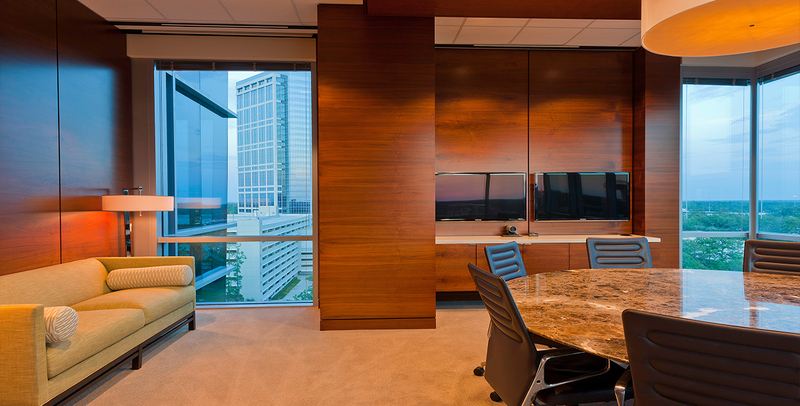 The full-floor office space has floor to ceiling windows along the entire perimeter. 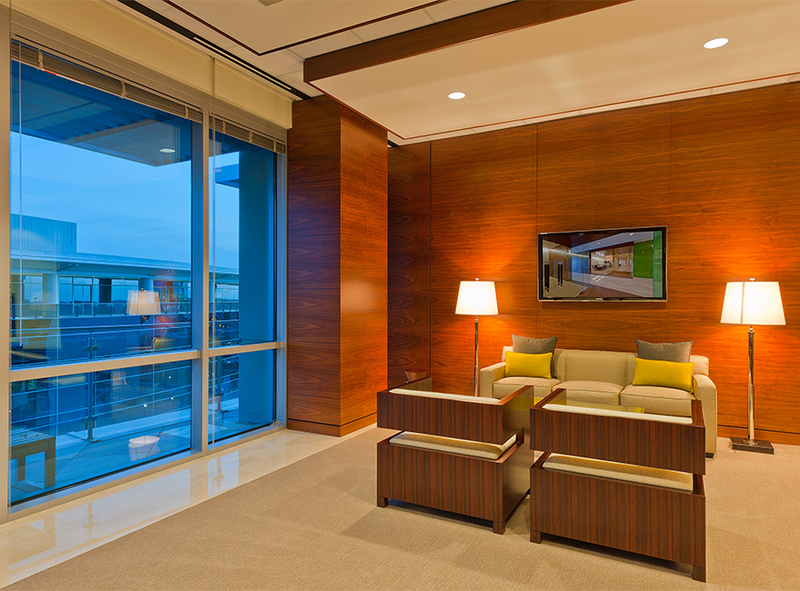 Interior glass walls allow nearly all of the occupants to have a view of the outside. 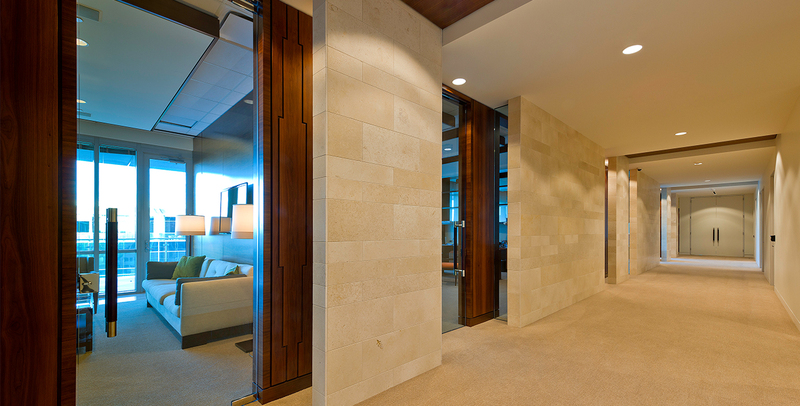 A combination of open and private offices was employed to allow daylight to enter deep into the space, which in turn allowed for the reduction in the total number and power density of the light fixtures. Materials with high recycled content were specified where possible and preference was given to materials and products from manufacturing and extraction facilities within 500 miles of the project site. 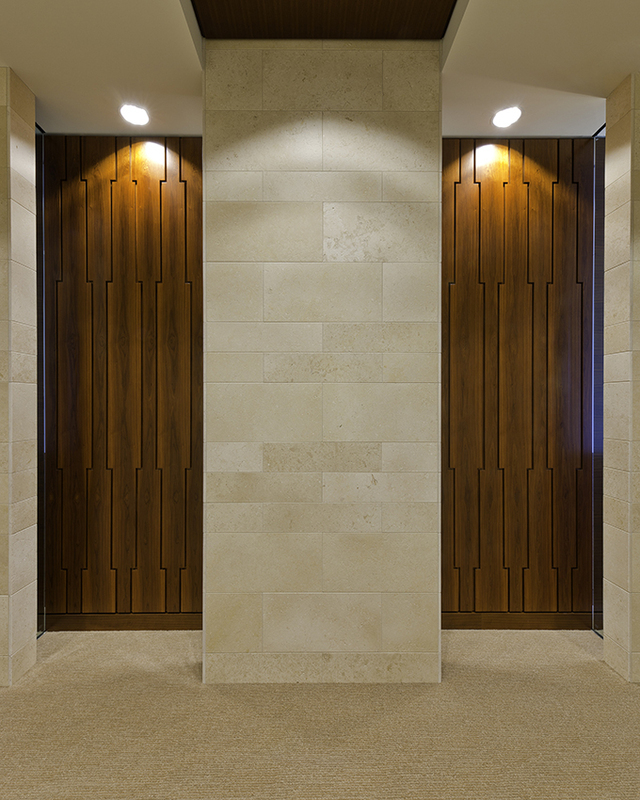 This project included extensive custom millwork and every surface, from floor to ceiling, required creativity and precise detailing to achieve the desired quality of design. 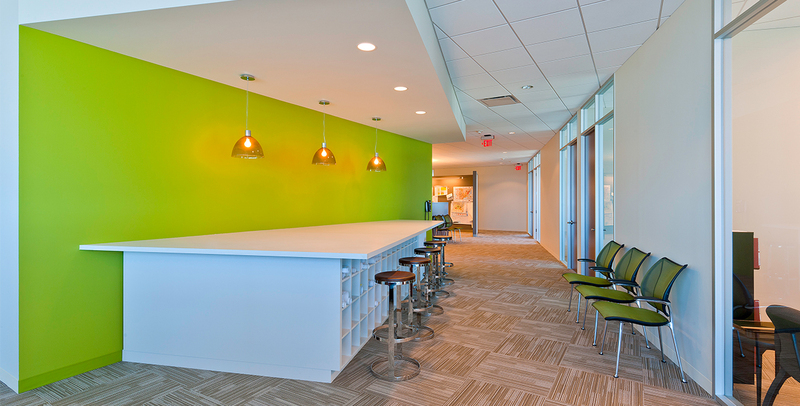 The result is a showcase space which reflects both the values and the aspirations of this growing company.